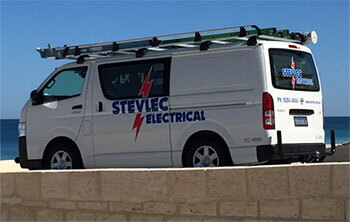 Stevlec Electrical was founded in 1993 by Steve Guelfi, an electrician with more than three decades of experience in the industry. To this day, Steve manages the company from its Osborne Park headquarters, ensuring a proven standard of work that every client can rely on. Stevlec is a member of the National Electrical Contractors Association, and all staff are fully qualified electrical workers with current Energy Safety licences and blue cards. Contact now to see how we can help you with your electrical needs.